It was earlier seen that Prerna (Erica Fernandes) and Anurag (Parth Samthan) get married to each other in the jungle. Komolika (Hina Khan) will get upset to see Anurag with Prerna and hence come out with a deadly plan. Komolika will not think twice before snatching Anurag away from Prerna. If rumours are to be believed Anurag and Prerna will consummate just before the dramatic separation. 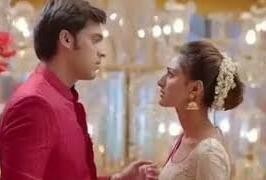 Prerna will feel cheated as she was in love with Anurag and accepted him as her husband.